Mike Schafer was born in Rockford, Illinois, in 1949 and has had an interest in railways as long as he can remember. None of his immediate family ever worked for the railroad, but his Irish-bred Brennan ancestors had all sorts of ties to The Milwaukee Road in northern Illinois—so perhaps there is a railroad gene there somewhere. Mike took his first train trip—on Illinois Central’s Hawkeye—in 1953; he took his first railroad photo in 1962 and his first railfan trip in 1964. Also that same year, new friend Jim Boyd became his mentor in terms of railroad operations, photography, and journalism. In 1969, Mike and Jim founded the North Western Illinois Chapter of the National Railway Historical Society. Mike graduated from Northern Illinois University in 1971 with a degree in Art and Art Education and a minor in English & Composition. Mike spent nearly the entire 1970s at Kalmbach Publishing as an associate editor and production artist before striking out on his own in 1980. His principal customer was PTJ Publishing, whose flagship publication was Passenger Train Journal, founded by Kevin McKinney in 1968. Mike also serving as editor of sister publication Prototype Modeler until that magazine was sold off. 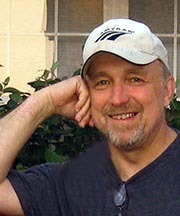 In 1991, Mike became part owner of Andover Junction Publications and spent the next 14 years doing editorial and production on numerous books and a several railroad historical society magazines. In 2005 joined White River Productions and their family of railroad publications. Though the original Passenger Train Journal had succumbed in 1997, in 2006 WRP purchased the name and resurrected the magazine, placing Mike once again at the throttle. Mike’s other interests include scale model railroading and operations; roller coasters and classic amusement parks. The current editorial office is located at “Zephyr Acres” where Mike makes his home in Lee, Illinois, along the old Burlington mainline now operated by BNSF Railway. His primary interest is in passenger train history of North America, and the “pre-merger” railroads of the American midwest and northeast. An active photographer with more than 100,000 color slides to his name, he has been an enthusiastic digital shooter since 2010. 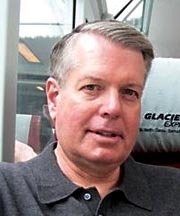 Kevin Hollands’s first Passenger Train Journal byline appeared in 1988, and he has been a member of the editorial and production staff since the magazine was revived in 2006. After more than a decade in corporate communications management, Kevin established his own full-time publishing studio in 1996. Since then, he has worked independently with organizations throughout North America, providing editorial, design, research, and production services for books, magazines, and special projects. 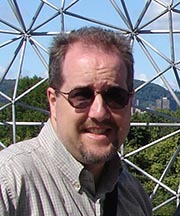 He has written numerous articles and more than 20 books, and co-authored a dozen more, on aspects of railroad history, technology, and architecture. He lives near Toronto, Ontario. When he was in his second year at Michigan State University, Kevin McKinney started the original Passenger Train Journal. In an age long before the Internet provided daily news and instant communication, his objective was to bring together people who felt passenger trains were worth saving, share news and promote the effort to preserve and expand the dwindling rail passenger network in North America. A meeting with Tony Haswell, who had founded the National Association of Railroad Passengers the year before in 1967, led to Tony promoting the new PTJ to his growing NARP membership. Subscriptions poured in, and the rest, as they say, is history. Kevin created PTJ Publishing and over the next two decades expanded PTJ from quarterly to bi-monthly to monthly. Kevin eventually sold PTJ in order to concentrate on running a Michigan short line railroad that he and two partners purchased from the Chessie System. His railroad career started as a ticket agent and station agent while at Michigan State and after graduation included being part of the team that created Amtrak and then part of Amtrak’s initial management. Over four decades later he is still in the railroad business, running a refrigerated rail car operation, in addition to his duties as Contributing Editor for the new Passenger Train Journal.